April’s Monthly Mood Board features various fabrics and textiles put together by one of our clients, designer Emma Beddow of Emma Beddow Design. 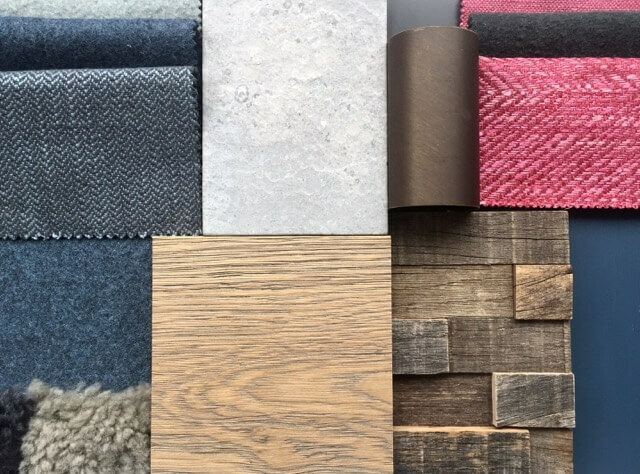 For Emma’s mood board she chose our Vintage Grey Tectonic® Oak engineered planks and 3d Spruce Cladding. 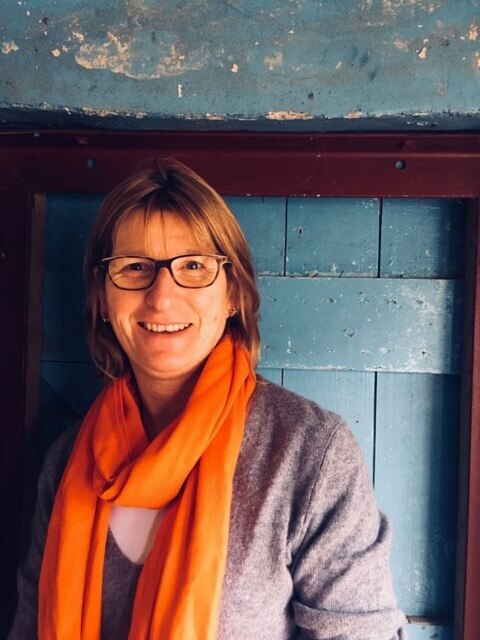 Having qualified in Interior Design at Chelsea School of Art in 1984 Emma moved straight into designing commercial office interiors, working with a broad client base. Since 1994 Emma has been combining her family life and four children with interior design for a variety of private and corporate customers. This is based on real project that will be completed this summer. It is for a family media room in a new build house by the sea – lots of interesting textures and robust finishes to create a cosy space for watching a film but doubling up as a fun room for teenagers. 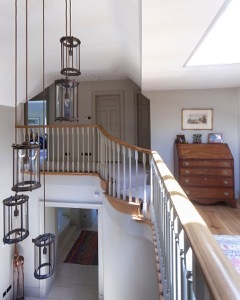 There is an upper area of Portland Blue limestone flooring and then steps down to the Vintage Grey boards. I love the sherbert pinks for cushions to contrast with the more muted wools and herringbone fabrics. There will be lambswool bean bags, wool fabric wall panelling and joinery using the reclaimed timber panels. If I am honest I don’t pay much attention to trends but I currently lean towards quite rich and saturated colours with an earthy or mineral quality to them. The quality, range and service. Just about anywhere – I am a magpie by nature and collect ideas from all directions. They are practical, warm and very versatile. 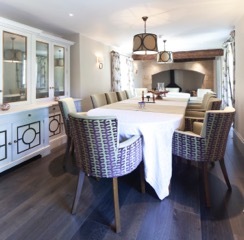 A good wooden floor can be the anchor for a whole scheme if you get it right. Yes – it was the re-decoration of my bedroom aged 8 – my mother nobly let me have a free rein – Jonelle Daisy Chain curtains and orange wallpaper – a bold choice even for the ’70s! I hope I design homes for real life not a highly curated level of show home perfection. One of my guiding principles is always to try and make sure the spaces flow happily from one to another – you can use colour or finishes to do this – or both. The end result has to be a comfortable fit between the building envelope and the client’s hopes and aspirations. 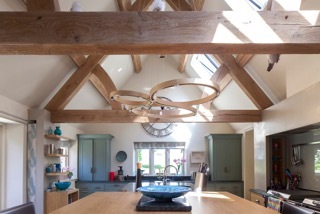 Clients are so varied – but I the projects that are most enjoyable are those where they are open to ideas and trust me. When you develop an instinct for what a client likes it becomes so much easier. I started my working life designing offices – over a Bank Holiday Weekend we were overseeing the physical move of an enormous open plan office for Mars Corporation – unfortunately the removals company guys hired all turned up for the first shift on the Friday evening a bit worse for wear, having been to the pub – most of them never made another appearance for the rest of the weekend. We ended up shifting the entire office ourselves – the only compensation was that every piece of storage furniture we moved disgorged large amounts of confectionery. My family all laughed when I read this question out! No – to say it is a work in progress would be generous – more of a project yet to get off the ground. Start with the bones and structure – and get them right first – you won’t regret it. You can build on those foundations – and remember that you don’t have to do everything all at once. Be realistic with your budget – sometimes it is better to cover a few aspects of a refurbishment project really well rather than stretch your budget too thinly across multiple areas and end up with a diluted scheme. Most importantly chose things you really love – don’t afraid to be bold – most things work if done with conviction.